You are here: Home » Forums » Mediterranean diet » BSD low carb Mediterranean diet and IF 16 – will I lose weight? BSD low carb Mediterranean diet and IF 16 – will I lose weight? So my point is if I do a BSD low carb med diet – which allows me to eat pulses and seeds and do IF 16:8 as I’ve been doing will I continue to lose weight? Without knowing much more about you, AND much more about the four ‘diets’ you mention, we can’t answer your questions. 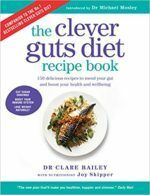 Clever Guts is not a short term weight loss plan nor is it very low carb/ ketogenic; it is moderate carb and emphasises a really wide variety of wholefoods for improved health and nutrition over the long term. I haven’t read Dr Mosley’s other ‘diet’ books but expect them to be similarly varied and flexible. Vegetables are primarily water: most cannot bulk the stool. If you are limiting or avoiding pulses and grains you must substantially increase seeds and some nuts to supply minerals and a variety of fibres. Why have you opted for inulin in particular to address your constipation? Natural sources of inulin (alliums/ asparagus/ Jerusalem artichokes) are fairly low carbohydrate, and it is easy to include the alliums (onions/ shallots/ garlic/ leeks) in a vegetable-rich diet. Even as a reformed veg-phobe I cannot imagine life without them! Furthermore newcomers to inulin as a supplement report bloating gas and/ or constipation as side effects. Constipation is more often addressed with mucilagenous (gel-forming) fibres such as ispaghula husk or flaxseeds. Other microbiome-friendly laxatives include lactulose (consult your pharmacist or family doctor). Your initial post emphasises weight loss and relief of constipation, not gut health? For a balanced and varied microbiome Dr Mosley and other authorities in the field advocate a *really wide variety* of prebiotic and probiotic wholefoods. Not all prebiotics are bulking agents, far from it. Selecting inulin alongside a vegetable-rich diet seems illogical. Inulin isn’t widely used as a laxative within mainstream medicine or alternative/ natural health. Ispaghula husk, flaxseeds and lactulose are. Impossible to fully answer your questions without a lot more detail. But in principle combining the clever guts and 5:2 or 16:8 is a perfect combination and yes, you should lose weight (fat not muscle).